If you believe die-hard followers, Scientology is the world’s “coolest” religion. And on Saturday, more than 1000 adherents turned out to help celebrate the opening of Perth’s newest church. 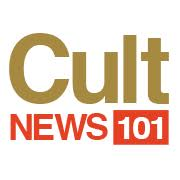 It was the “NOW” for which local followers has been waiting according to the church’s ecclesiastical leader - and Tom Cruise’ best buddy - David Miscavige, who made the trek to WA for the big day. As he led the dedication ceremony at the new Rivervale property, Mr Miscavige spoke of Scientology’s “new future in Western Australia”. “And with that, we step out of Dreamtime to realise the final dream before that ribbon falls,” he said. “Which is to say this is now the time to bring our help wholeheartedly and indiscriminately. The opening of Perth’s new Scientology hub marks the 66th Mr Miscavige has spearheaded in recent years. “Take the most remote major city in the world, sandwiched between largely empty vistas of oceans and deserts; add in wave after wave of hardy and hearty pioneers from England, Scotland, Italy, China, Vietnam, Greece and a score of other ethnic homelands; cook all of that in with the gung-ho, can-do spirit of Down Under; throw in battalions of gold prospectors and diamond miners; sing a couple of bars of Waltzing Matilda, add a kangaroo or two and you have the setting for the planet’s newest Church of Scientology: Perth, the capital and largest city in Western Australia,” promotional literature released by the church said. The new premises include a “grand, two-storey chapel”, a cafe, and dozens of specially appointed rooms “providing the ideal setting for Scientology auditing”. In 2015, when the church first touted its plans for a new Perth premises, Scientology spokeswoman Virginia Stewart said the church's Rivervale neighbours would be welcome and the organisation would aim to grow “organically” without any need for it to campaign for new members. "Typically, our growth comes from people who know someone who knows a member but it's increasingly coming from the internet. People do their research and come to see us when they're ready," she said. "We don't convert people - it's up to them to find a philosophy or a religion that meets their needs. "There are a lot of misconceptions about Scientology. We offer far more than the popular perception." While Scientology claims upwards of 100,000 members in Australia, the 2016 census recorded just 1684 people describing their religion as Scientology.